Star Network (Private Hub): Star topologies are by far the most popular and are generally used in situations where there is a head office and various branches (e.g. banks, retail, etc.) where they only need to communicate with the head office and not between each other. 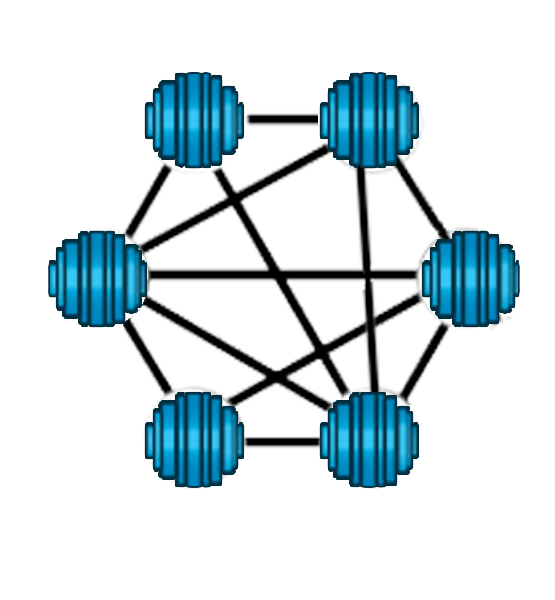 The chances of network failures are reduced with star topologies because all remote sites are connected to a central node and are dependent solely on it. The central Hub controls and manages all functions of the network. Depending on the central Hub capabilities, a large number of remote sites can be maintained on the same network. 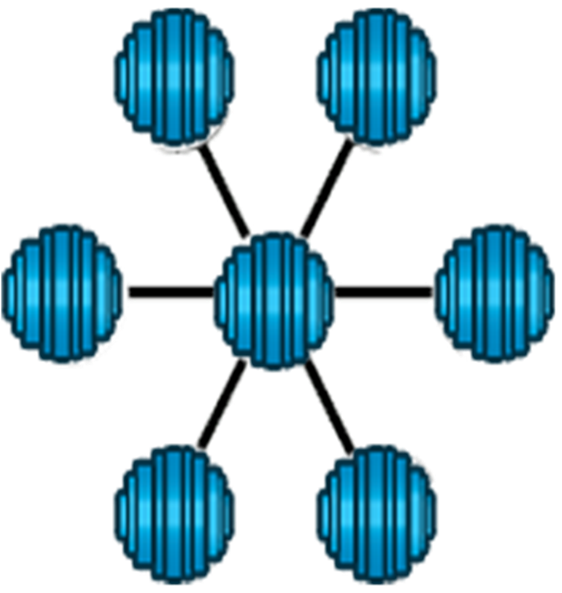 Mesh Network (Comtech): Mesh topologies are more complex network structures but allow for more inter-remote communication. This network structure allows for easy communication between sites and the single-hop nature permits minimal time delay between transmission and reception. Mesh topologies are designed, although not exclusively, for real-time applications (VOIP and Video) between each location and because they do not require a double hop, the latency is greatly reduced. Mesh technology allows the connection and the disconnection of new relays without resorting to the manual and boring configuration of the network. Point-to-Point Connectivity: Contrary to the networking topologies, a Point-to-Point topology involves a dedicated connection between two sites. This topology is a direct pipeline with a fixed bandwidth capacity regardless of usage and is typically designed with Single Carrier per Channel (SCPC) technology. TDMA: that’s one canal of frequency shared between many costumers. There are combined with TDMA: (improve the yield, which is one option). DVB-S2: The latest standard for DVB (Digital Video Broadcasting) is called DVB-S2. This is one of the most complex and far-reaching technologies ever implemented by the VSAT industry. DVB-S2 has one very important new element called Adaptive Coding and Modulation (ACM), hence DVB-S2/ACM. DVB-RCS was designed from the ground up to support all IP applications as effectively as proprietary systems and in most cases, even more effectively. It is a mature open source satellite communication standard with highly efficient bandwidth management. This makes it a cost-efficient alternative solution for many users. It also provides an established foundation for further satellite communications research. DVB-RCS is a mature open source satellite communication standard with highly efficient bandwidth management. This makes it a cost-efficient alternative solution for many users. It also provides an established foundation for further satellite communications research.